'Shadowplans pack #1' is a series of 10 modern/cyberpunk stylized battle maps, suitable for VTT (virtual table top) or printing. Ideal for Shadowrun and other modern / cyberpunk settings. Use as drop in locations or the setting for an unfolding campaign. Large Maps : The Maps boast large playing spaces, allowing your players the room to strategize. Basic & Blueprint : Each map comes in Basic and Blueprint themes, allowing your players to plan out their heists and jobs in immersive style before watching those plans all go wrong on more detailed and stylized floorplans. GM Security Overlays: To ease the GM’s work, these maps come with basic security overlays. Icons used to create this overlay are also included for your own needs. 10 Large JPG Maps in 2 Themes (Basic and Blueprint), and 2 Formats (Gridded and Griddless) - 40 JPGs! 10 PNG Shadowrun 5e Compatible Security Overlays, with 17 Icon’s for customization. 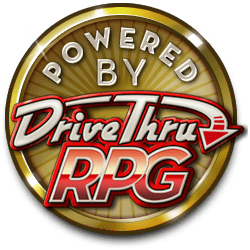 Of course I could include a link to your DriveThruRPG page. It would be great if you could reach out to me at info@nick-nack.de, I didn't find any email address of yours.